Iranians bravely take the streets by the hundreds of thousands, confronting the police, the Pasdaran, and the basiji thugs of the Islamic republic – and what, other than words, does the Obama administration actually do to respond to these momentous events? It disinvites Iranian diplomats from the July 4 festivities to be held at U.S. embassies, consulates, and missions. The White House announced yesterday that it had withdrawn invitations to Iranian diplomats to attend Fourth of July festivities at U.S. embassies around the world. The move is the first tangible penalty the United States has imposed against the Iranian government in the wake of the brutal crackdown of demonstrations over the disputed presidential elections. 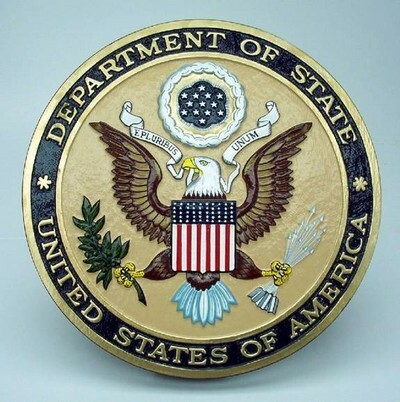 The United States and Iran have not had diplomatic relations for nearly three decades, but Secretary of State Hillary Rodham Clinton recently authorized the invitations as a way of reaching out to the Islamic republic. U.S. officials said no Iranian diplomats thus far had responded to the invitations.